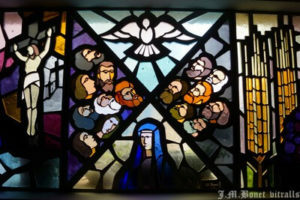 For more than 90 years the creation of religious stained glass for churches, temples, and spaces of spiritual recollection has been one of our main activities. 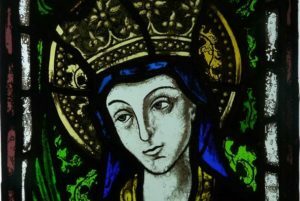 Stained glass can be figurative and represent scenes from the scriptures and can modify and embellish the light of the sacred spaces to facilitate rest and prayer. 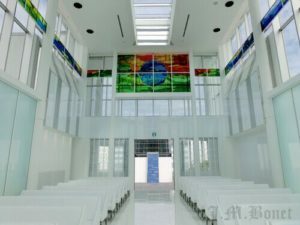 The stained glass can transform clear light into complex spectrum that fluctuates during the day between different shades and enhances the interior. The final impact is the product of carefully planned teamwork of an artist and a glazier. 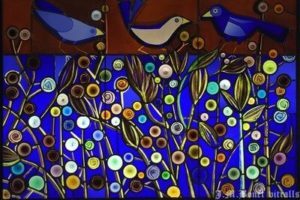 At the root of the company is the commitment to innovation and the investigation of new ideas and uses of the stained glass. 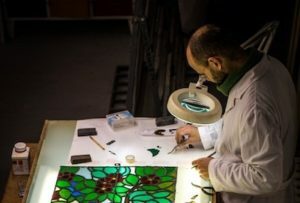 The workshop J.M.Bonet has conservation-restoration professionals specialized in stained glass capable of dealing with any situation. 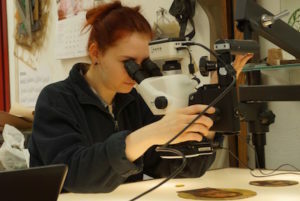 The workshop has various facilities as microscope and light tables, moreover we collaborates with the best art historians, physicist and chemists in the research of the stained glass. J.M. Bonet is the hand that guides the artist in translating the ideas from the paper into the final medium of leaded glass that will illuminate the spaces. The stained glass can transforms clear light into complex spectrum that fluctuates during the day between different shades and enhances the interior. The final impact is the product of carefully planned work of a team made of the artist and the glazier. It is usually necessary for the person in charge of the restoration project – architect, historian, curator or restorer – to consult the opinion of a specialist. Whether it is to assess the conservation state, exchange ideas about the different constructive solutions, describe and clarify the drawbacks and advantages of each case. For interior designers J.M.Bonet offers an extensive catalogues of projects, materials and old glass, etched glass and gilded glass. 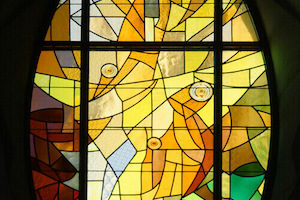 At our workshop we can supply, build and install elaborate stained glass. 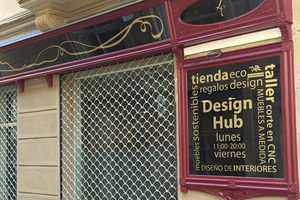 J.M.Bonet workshop offers several services for private customers: new stained glass (with multitude of catalogues to get inspired from) and stained glass restoration. We collaborate with decorators and interior designers in the construction and production of painted and gilded signs made in traditional gold gilding technique. We also work on conservation of old deteriorated signs in similar technique. The glass etching allows for multitude of different shades from full matte (frosted) to transparent. 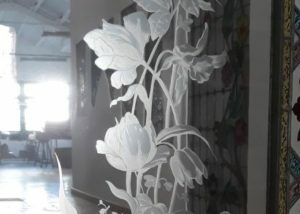 Despite the simplicity of technique, glass etching can produce designs of unlimited complexity. The etched glass and the etching of flashed glass were widely used in modernism. In this field we often work on the reintegration of the lacunas and also production of new objects. Dalle de verre or “concrete glass” integrates itself completely into the architecture that it is part of. 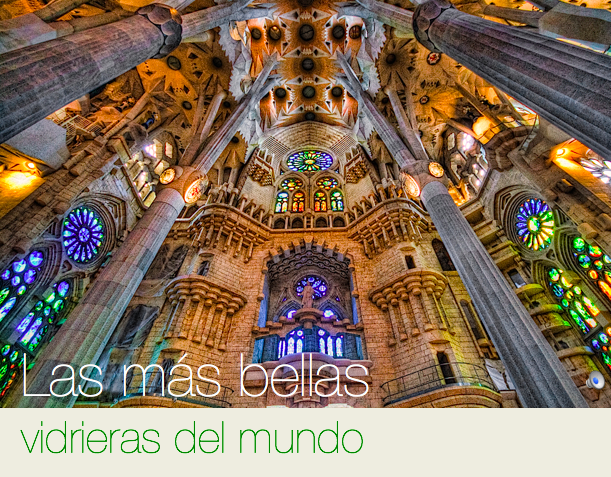 Its splendour enriches the interior that is enclosed in the combination of glass and concrete. 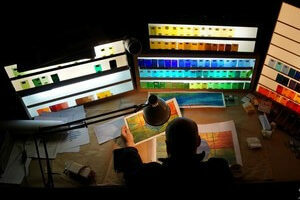 The thickness of the pieces of glass, called the dalle de verre or dallas, result in a magnificent play of light.